Ear-wig wing folding. 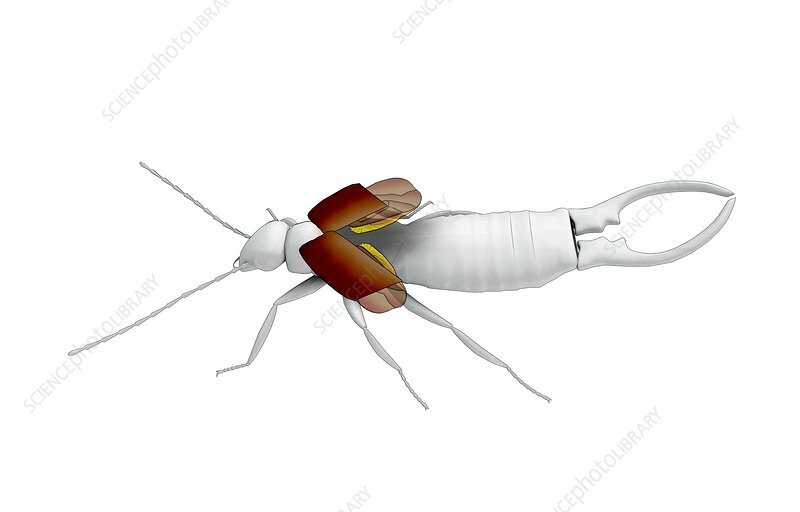 Computer illustration showing the anatomy of an ear-wig (order Dermaptera) as it folds its wings into the wing cases. Here, the wings are almost completely folded.